More data has been produced in the last two years than in all previous history. And thanks to the Internet and an ever-expanding variety of connected devices, the amount of customer data available to businesses and brands is growing exponentially and will continue to do so. Properly collected and analyzed, customer data can deliver increased business revenue, bigger wallet share, and happier and more loyal customers willing to advocate for your company’s brand(s). How do you accomplish this amidst the “digital deluge”? For now, refer to the diagram, and let’s start with the foundation. This data can be derived from either online or off-line sources, and both are important. Activities like store visits, service calls, or contact-center interactions are non-digital and take place off-line. Online data like website visits, eCommerce transactions and Social Media engagements also must be captured, organized and stored. Often, this data will be anonymous. New Identity Resolution tools can then be used to integrate off-line and on-line data, match both anonymous and identifiable information, and feed this into individual customer profiles. 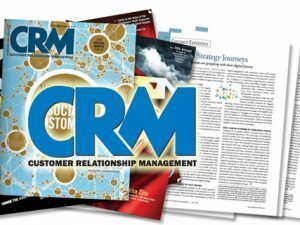 These holistic customer profiles, residing most often within a CRM system, are the foundational building blocks that enable companies to transform customer data into value. 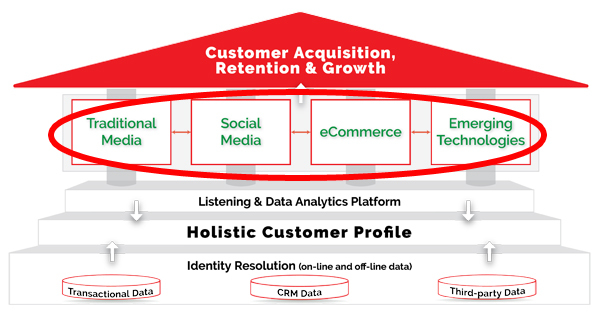 Once your holistic customer profiles are in place, the next step is to perform detailed data analysis on these profiles. The goal is to develop accurate customer segmentation, customer personas, customer journey maps and more, to help identify the right customers and their preferred buying channel(s). 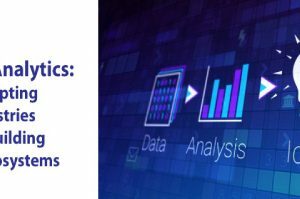 While there will always be challenges to performing good data analysis, there is no shortage of opportunities. 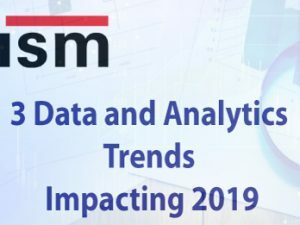 Many of ISM’s clients use look-alike modeling, opportunity sizing, acquisition modeling, lead scoring, cross-sell, next best offer, retention/survival modeling, response modeling, customer lifetime value (CLV) and other techniques to derive meaningful, actionable insights from their customer data. Upon completion of your data analysis, you are now ready to sell products through one or more of four customer engagement channels. The customer journey has become both less linear and more complex as customers use an ever-increasing array of digital devices to engage brands across an almost limitless number of touch points. This has huge implications for initiating and maintaining engagement with customers and prospects as they move throughout the buying cycle. Our last email stressed the importance of building a solid foundation of both on-line and off-line customer data, aggregated into holistic customer profiles. These profiles are essential to enable companies to identify and reach the right customers at the right time through the customers’ preferred engagement channels. 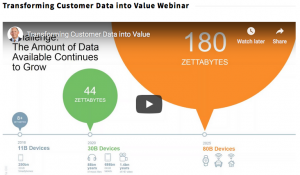 But where does this customer data come from, and how can it be leveraged to optimize customer engagement and drive sales? The answer lies in the middle of ISM’s Engaged Customer Strategy framework. 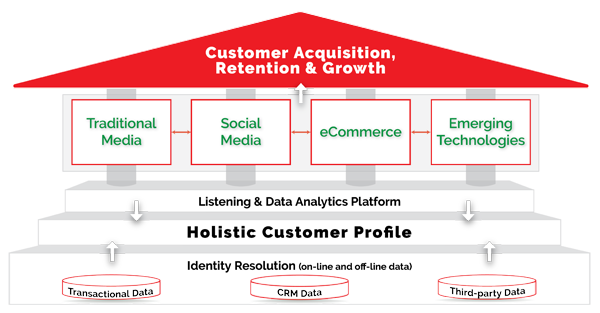 Sitting on top of the data foundation are four customer engagement “pillars.” Each pillar is an important source of customer insight as well as an avenue for ongoing interaction. Even today, feedback from traditional media like face-to-face meetings, phone conversations, advertising/direct mail, email exchanges, surveys/focus groups, paper-based mailers and more can provide valuable customer insights. Public communities like Twitter, Facebook, or LinkedIn are great for branding and information-sharing, but they are a bad place for intimate conversations with customers. Private, “branded, or “invitation-only” communities are an excellent complement that can allow meaningful discussions with invited members in a controlled setting. By actively participating in these communities, companies can gather tremendous “social insight” to better engage with their customers. eCommerce offers great ways to listen to your customers through tools that include new website technology, customized customer portals, optimized search engine visibility, an effective shopping cart, meaningful next-best-offers, and much more. Based on your listening, you can then create more customized websites, portals, etc. Customers are now engaging with all kinds of new digitally-connected devices. Many companies already capture customer data from mobile apps. Some are also leveraging data coming off wearables – like smart watches and glasses – as well as a growing assortment of Internet of Things (IoT) devices. Virtual Reality (VR) and Augmented Reality (AR) technologies, as well as personalized video and addressable TV, will increasingly provide meaningful data on customer behavior at home, in-store and elsewhere. 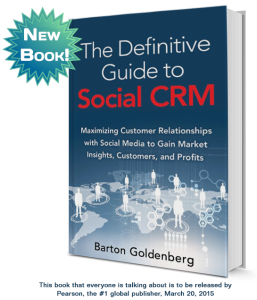 Properly leveraged, this data derives enhanced customer engagement. When pursuing customer engagement through each of these pillars, it is important to realize that customers with various demographics differ in their channel preferences, and to carefully select the most appropriate channel(s) to reach your target audience. Your product messaging also needs to be ‘contextually relevant’ for a given channel, since this greatly increases your likelihood of being heard. Lastly, you will need to be present across multiple channels, both offline and online, at all times. Today, customers expect a consistent brand experience across channels, and they need brands to meet them wherever they are as they move from channel to channel throughout their buying journey. Once you have made the decision regarding which channel(s) are best for selling your product, make sure you “listen” to customer feedback coming from each channel and integrate this feedback into each person’s holistic customer profile. As each profile becomes more robust, you can use the customer knowledge it provides to develop increasingly-customized sales, marketing and customer service efforts. Properly done, this ‘closed-loop’ sales, marketing and customer-service listening process will deliver to your company enhanced customer acquisition, retention and growth. Technology alone is not the answer. There are many reasons why companies fail to transform customer data into value, ranging from lack of executive sponsorship to data privacy issues to incomplete data to not having the tools to unlock this value. But by far the most important reason is a failure of the executive team to appreciate that technology alone is not enough. The people component presents the greatest challenge, because cross-functional collaboration is almost always necessary and because users are sensitive to change. For example, most customer-facing initiatives require tight collaboration between marketing/sales and your technical staff. Why? Because you need “creative” talent helping to secure more real-time, on-line and off-line data from customers sensitive to privacy issues, plus “technical” expertise to determine how to harness more real-time on-line and off-line data from external sources, and to identify new tools to deliver smarter decision making. Also, new processes and technology almost always require changes in the way users do their jobs. Users who do not understand the point of these changes, who are not allowed to participate in their formulation, or who are not given adequate preparation and training will, understandably, resist. Gaining user support early on and keeping it throughout an initiative is an important driver of success. 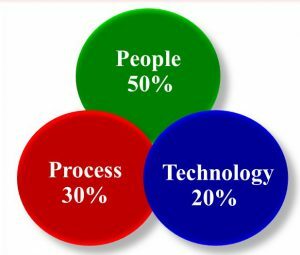 Too often, the technology component is given disproportionate emphasis, sometimes to the detriment of the overall project. Ultimate success or failure is determined by user adoption. But when IT departments “own” the implementation, the end-user experience can take a back seat to technical considerations.Successful organizations first put their customer-facing processes in order. Then they secure buy-in to these processes from employees, partners, customers and other stakeholders. Only in the final stages do they apply technology in support of these processes. At ISM, our strategic consulting approach is focused on getting the people, process and technology mix right at every stage of your project. To learn more, give us a call.